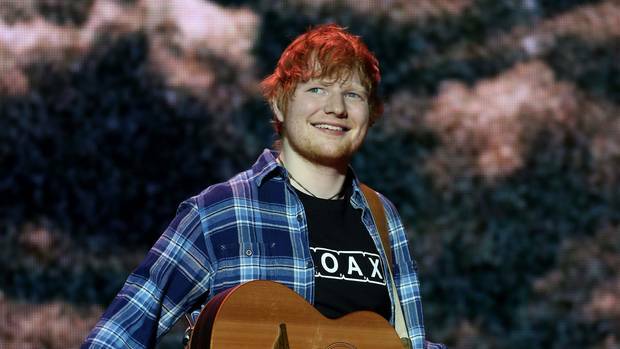 Ed Sheeran is wrapping up his mammoth Irish tour with three Dublin shows at the Phoenix Park on Wednesday 16, Friday 18, and Saturday 19 of May. Tickets for all three concerts have sold out. If you buy from unofficial sources or secondary sites you will be refused access. "We'd hate for you to miss out," said Aiken in a statement. For those lucky enough to have their tickets sorted, bear in mind that there are several different dates at each venue so make sure you attend on the right date. Ticketmaster.ie is the official ticketing partner. If any tickets do become available, you'll find them here. Aside from buying bogus tickets, there's nothing quite so disappointing as showing up to a gig on the wrong day! Measures have been taken to stamp out ticket touting at Ed's gigs, including the request that ticket buyers buy tickets for personal use. So, for tickets purchased in outlets: whether you have paid by cash or credit card your name will be printed on your tickets and you will be required to bring valid ID matching the name printed on the ticket, or a photocopy, to gain access to the show. You can keep on top of the latest info and updates on the shows with the Ed Sheeran Irish Tour App which is available now on android and Apple. It can be downloaded in the Google Play Store or Apple Store. Venue gates will open at 5pm and no early queuing is allowed since the venues are located in residential areas. Aiken adds, "We ask ticket holders to please respect the privacy of the residents and respect the local communiities." Concert-goers can also use public transport with special shuttles in place from Custom House Quay, departing from 3pm to 7pm each concert day. People who booked online are guaranteed to depart at the time booked. Tickets can be bought at the bus stop Custom House Quay each concert day. Return buses from Phoenix Park will depart from 10:30pm until midnight each evening and will leave on first come first serve basis. Dublin Bus ourbound services on the N3 past the Halfway House roundabout and Victoria Quay. Inbound services will be on the Navan Road, North Circular Road/Hanlon's Corner and Inns Quay. Private coaches can enter the park through the City Gate. Registered private copaches can park in the Papal Cross car park, Furze Road and Ordnance Survey Road. Minubuses can drop off concert-goers at the Polo Grounds via Lords Walk. They will not be allowed to drop people off after 6pm. The pick-up point will be at Dublin Zoo car park beside Lords Walk. Luas Green Line stations at Broombridge and Grangegorman and Red Line stations Museum and Benburb Station are the closest stops to the Phoenix Park. Taxis can drop people off at a designated area on the Castleknock Road, unless they are dropping off a disabled person with a pass. These taxis have special access to the venue through the Cabra Gate entrance. There will be FREE-TAG-A-KID safety wristbands which will be available at all the customer care points both outside and inside the venues. The purpose of these wristbands is to help reuniting lost children with parent/guardian should your child become separated from you within the venues. Here are the stage times , although they are subject to change so keep an eye on social media and the Ed Sheeran Irish Tour App which is available now on android and Apple. It can be downloaded in the Google Play Store or Apple Store. It's an outdoor event and the the weather outlook is generally positive. Met Eireann is predicting that it will be a fine and dry day today with long spells of sunshine. Friday is also expected to be a fine ansd dry day with varying cloud and go od sunny spells. Temperatures will climb towards the high teens by late afternoon/early evening. Saturday also looks to be a dry day in most places with sunny spells. However, there may be a risk of small patches of rain as the day progresses. There are plenty of food and drink facilities at the venue. Deliveroo has also set up a number of delivery spots outside Phoenix Park, to which customers can collect a food delivery. Aiken have also asked fans not to bring a bag "unless it is totally necessary". People without bags will be fast-tracked through the queue. If you do bring a bag it must be smaller than A4 and it will be subject to a search. Any large lens professional cameras or any form of video recorder WILL NOT be admitted. Only small 35mm cameras will be permitted. Flag poles, selfie sticks, sticks for banners are not allowed. Only small banners of other (A4 or A3 size) will be permitted into the events as anything larger can obstruct the views of other customers.